Elbows and Connectors: Create a stylish railing system with our wide selection of elbows and connectors. 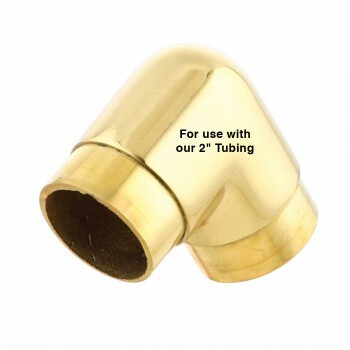 This Elbow provides a flush mount look to your brass railing. 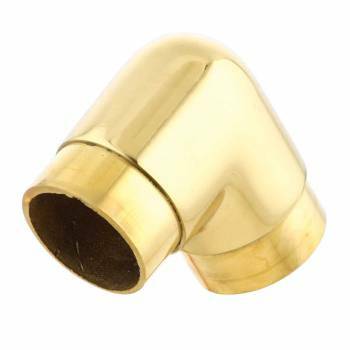 Made of solid brass this connector has a tarnish-resistant powder coated RSF finish which is maintenance free and protects up to 20 times longer than regular lacquers. Fits tubing size 2 in. diameter.